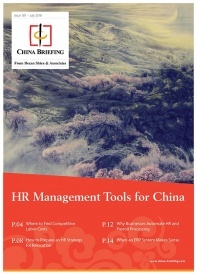 ﻿ China's Hukou System: How Does it Impact Employers? Hukou is a legal document that records the household population’s basic information, including the name of the natural person, date of birth, relatives, and marital status. Introduced 60 years ago, a hukou is a key identification document for Chinese citizens and an important administrative tool for the government to monitor its population. Some have criticized the hukou system, stating that it prevents the free flow of labor, creates idle capacity, and results in economic losses. In recent years, the Chinese government has pursued patchwork reforms of the hukou system to respond to these criticisms. In this article, we look at how the hukou system works in China, and why employers should seek to understand them. China introduced the hukou system in 1958 – a hukou book was assigned to each household to classify the resident’s hukou by their place of origin. The practice continues. The hukou system categorizes each Chinese citizen as either an agricultural (rural) hukou holder or a non-agricultural (urban) hukou holder. Rural hukou are usually assigned to residents who live in towns and villages; urban hukou are usually for those who live in larger cities – each type of hukou enjoys different and specific rights. WANT TO LEARN MORE ABOUT APPLYING FOR A HUKOU? As a legal document that is attached to one’s household registration, the hukou is also inherited. For example, if the parents hold an agricultural hukou – all their descendants would also hold a rural hukou. With respect to rights and entitlements, those holding rural hukou are distributed arable land for their livelihood while urban hukou holders have access to government jobs, subsidized housing, education, and healthcare. The entitlements of urban hukou holders, however, vary in different Chinese cities, such as those offered in megacities versus smaller cities. Chinese citizens can also transfer their hukou in certain circumstances, such as during study and work. University students are allowed to transfer their hukou to the city of their university, though it will expire after their graduation. Migrant workers can be granted an urban hukou as long as they fulfill certain criteria. This includes level of educational qualification, technical expertise, entrepreneurship etc. The process is more complicated in larger cities where the labor market is highly competitive. In a free market, employers are rarely concerned with a candidate’s location – beyond the practicality of interviewing the candidate, any relocation expenses they may seek, as well as any difficulties in adjusting to a new location. Employers and candidates in China often face bureaucratic challenges through the hukou system as it can sometimes be seen to undermine worker mobility. 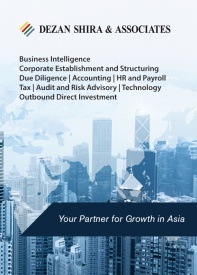 Corporate recruiters in China also have difficulties in attracting and retaining skilled workers because of these reasons. 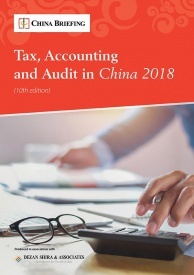 However, new governmental reforms and compensation policies by respective companies seek to resolve these challenges when hiring for elite roles in China. We discuss some of these below. Assistance to their employees in obtaining urban hukou and the offer of social welfare are key ways Chinese companies are able to recruit elite candidates. Employers, who provide necessary documents for household registration, are responsible for an employee’s hukou conversion. Some companies have a legal team to help workers in the conversion process, while others even pay the fee of hukou conversion on behalf of their employees. In return, such companies are able to extend the contract length and retain their skilled workers for a longer term. For those workers who want to keep their rural hukou, companies offer social welfare in compensation. A recent study finds that only one-fifth migrant workers are interested in converting their rural hukou to urban hukou, as they are unwilling to give up their rural land – valuations having increased sharply in recent years. Still, companies can attract this group of skilled workers by offering indirect benefits. For instance, the housing fund, insurance, healthcare, and transport subsidies can all be on the list. China’s municipal governments have now been granted greater autonomy in deciding quota and eligibility criteria for hukou conversion. Yet, megacities continue to control their population size and have strict criteria in place for granting a hukou. Beijing, Shanghai, Guangzhou, and Shenzhen have adopted a point-based system to vet applicants. For example, employment type, property ownership, education, and innovation achievements are all factors for those who apply to get a Beijing hukou. Other large and medium-sized cities offer preferential hukou policies as a means to attract talent. Many second-tier cities are in competition to offer hukou incentives to attract fresh graduates. 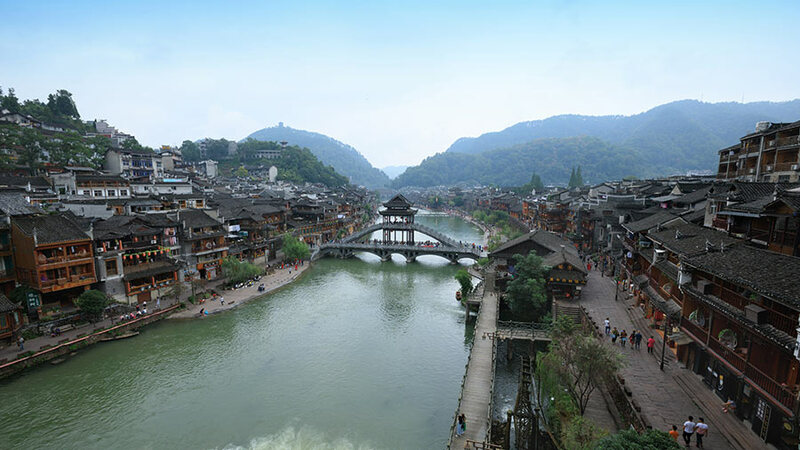 Chengdu, for instance, allows all university graduates to apply for the city’s hukou before they find a job, while Wuhan permits all workers who graduated within three years to apply for its hukou. 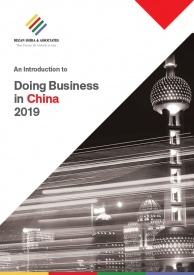 Companies should consider the hukou policy of different cities, which is crucial to attract elites in specific fields, and an important factor when deciding the location to set up a business. Since 2014, the Chinese government has been gradually phasing out the distinction between agricultural and urban hukou. As part of the reform initiative, in 2016, the State Council announced a target of granting urban residency status to 100 million rural migrants by 2020. The target specifies that the number of urban hukou holders should increase by one percent each year and reach 45 percent of the total population in 2020. Hukou reforms such as these ultimately aim to reduce the inequities between different types of hukou holders and improve labor mobility in the economy. It also seeks to boost domestic consumption as migrant workers without urban hukou often keep more savings for future needs, including marriage, education, and retirement. For example, research finds that migrant workers in Guangdong, Fujian, and Sichuan save around half of their income for potential future expenses. Meanwhile, this cohort tend to spend less on durable goods due to their temporary residency in urban cities. In many ways, China’s hukou system is a relic of the country’s centrally-planned economy that existed before the economic reform and opening-up began in 1978. While China is no longer a centrally planned economy, the legacy of population management continues to impact its economy. Since hukou restricts the free mobility of Chinese workers, it strains overall economic growth. These effects are exacerbated because China has a shrinking workforce that peaked in 2011 and has decreased every year since then, leading to double-digit growth in labor costs. Rural migrant workers may be a solution to China’s shrinking workforce and rising labor costs. In 2017, there were an estimated 286.5 million rural migrant workers in China, accounting for around 35 percent of the entire working population. Of these rural migrant workers – 86 percent of migrant workers attended secondary school and 32.9 percent received vocational training – making them a vital asset to the Chinese economy. Hukou reform is therefore an important part of China’s broader economic reform policy, which seeks to transition the economy towards expanding and advancing the services sector and boosting domestic consumption. Reducing restrictions on labor mobility through hukou reform also widens much-needed access to social services and offer a boost to the country’s transitioning economy.